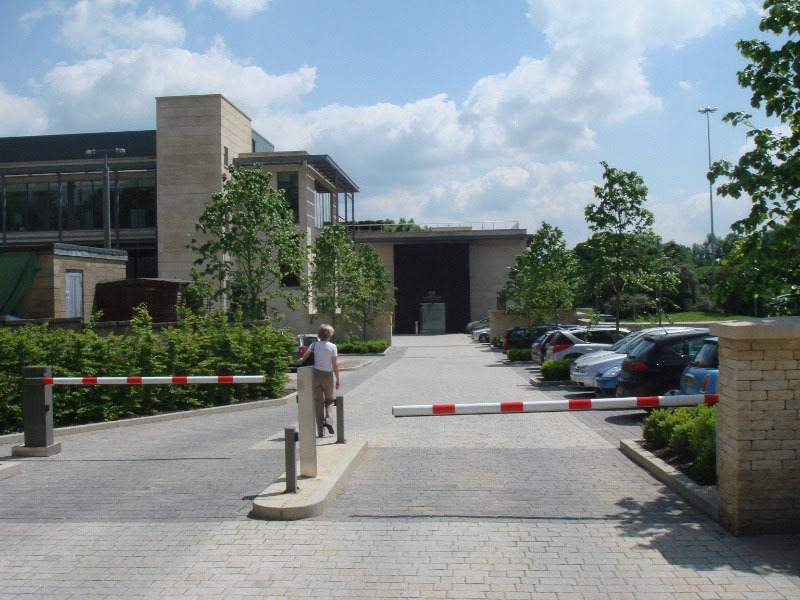 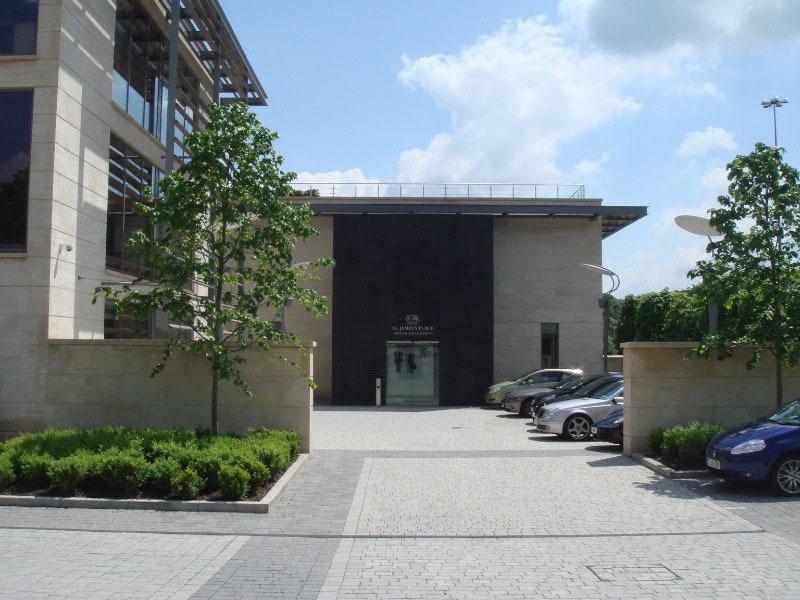 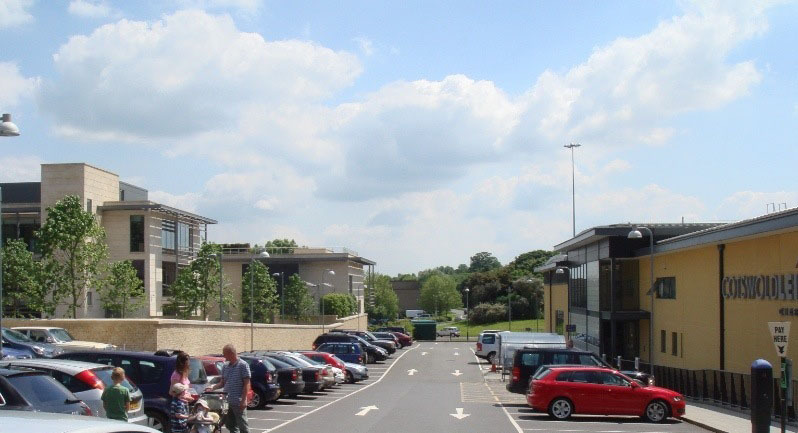 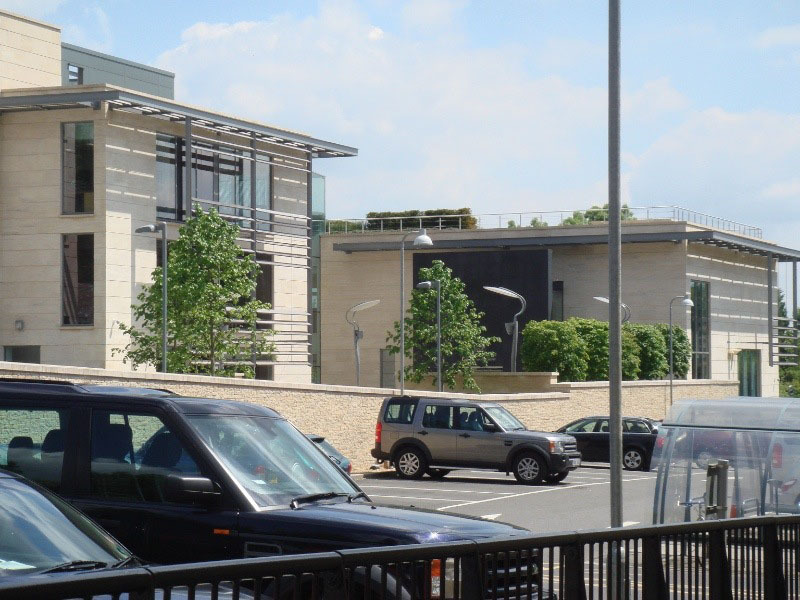 St. James’s Place was formed in Cirencester, and with company success came the requirement to expand their office facilities, which had now become fragmented across the town of Cirencester. 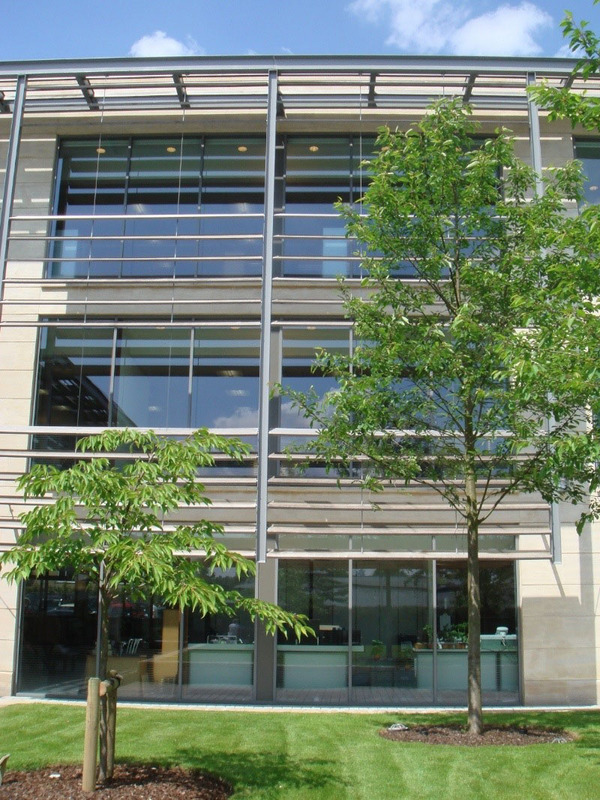 St James’s Place decided it would benefit from a new Headquarters building. 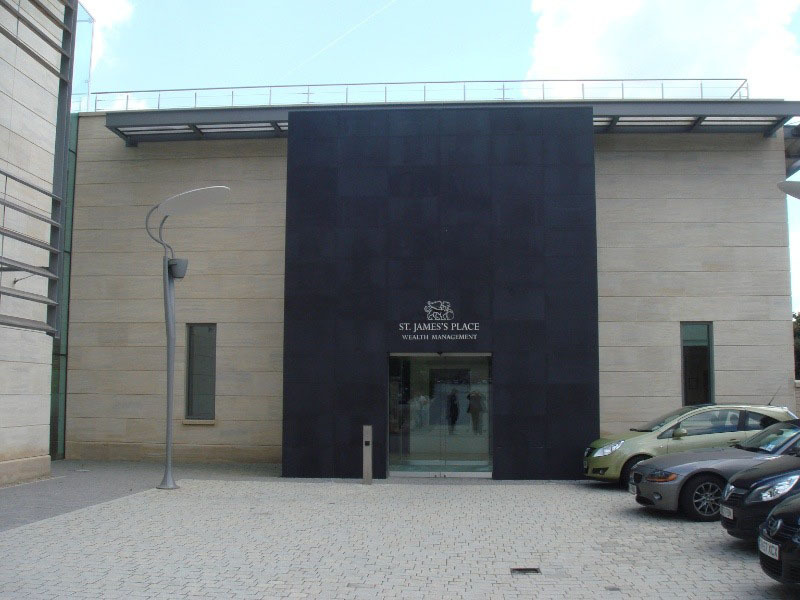 Blair Associates Architecture Ltd was commissioned to develop the scheme with St James’s Place in tandem with a commission for a new Civic and Leisure Facility on one site at a gateway location to the approaches of the historic town centre. 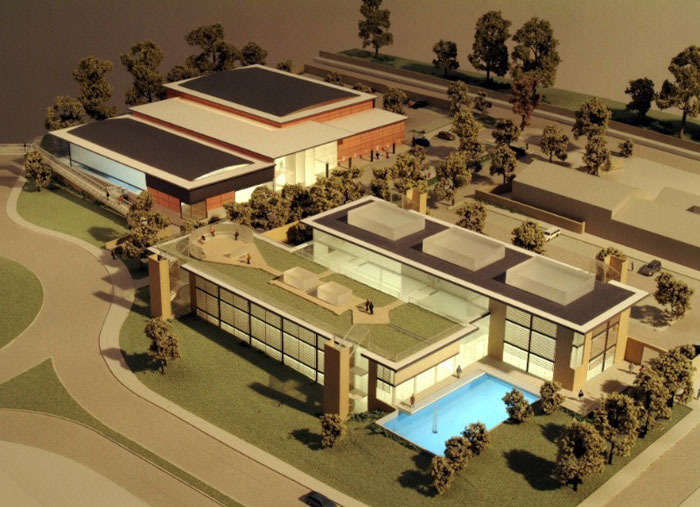 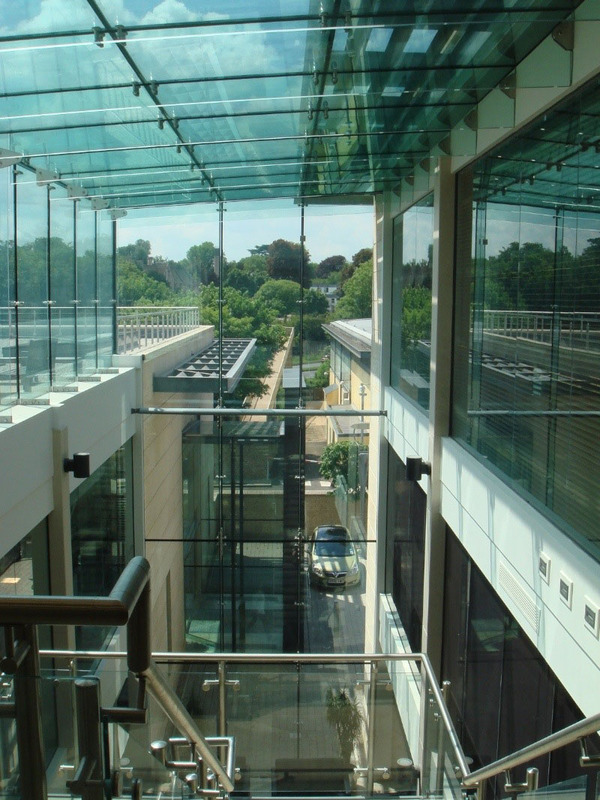 The plan design form of the building comprises two linear office buildings connected by a glass street housing social and presentation facilities to the office. 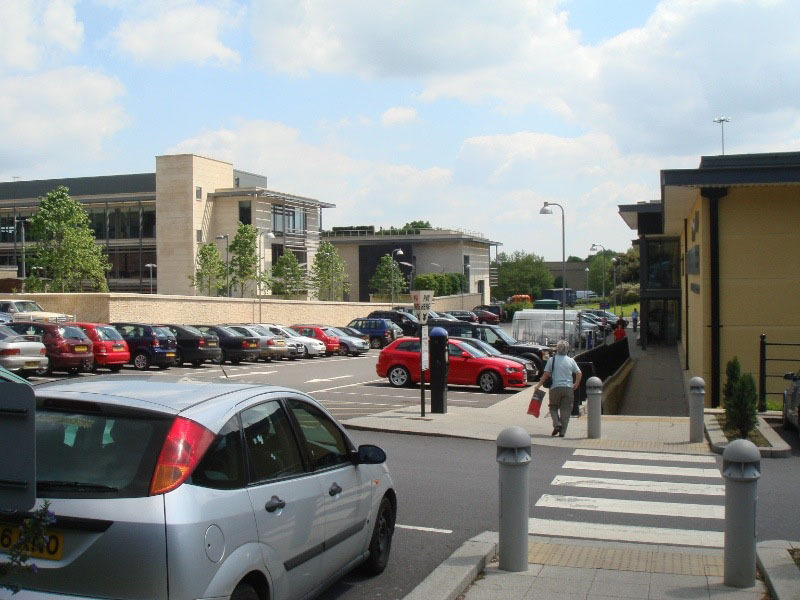 Glass street is on axis with the spire of Cirencester Parish Church tying the building firmly to the historic principal town. 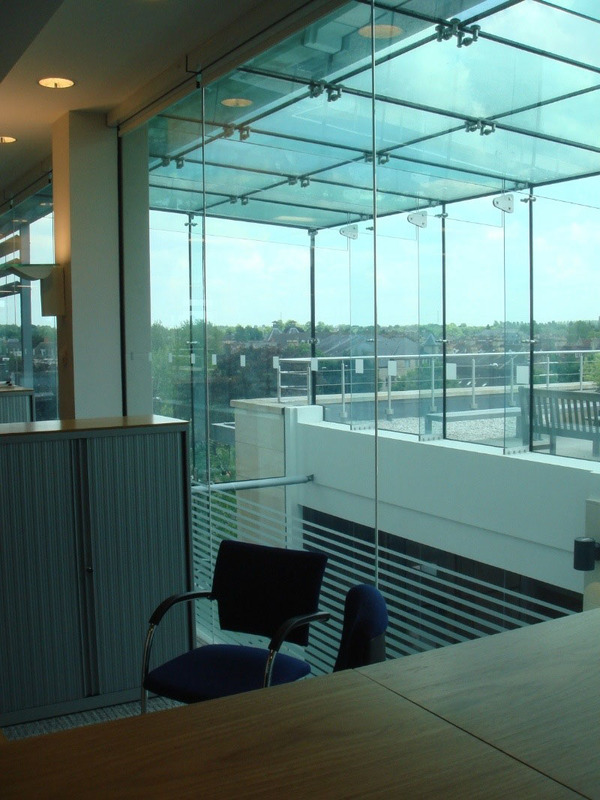 The cellular and open plan office portions occupying the two wings are fully serviced through computer access floor providing data power comms to all work stations with high flexibility to rearrange to suit any future requirements from the Company. 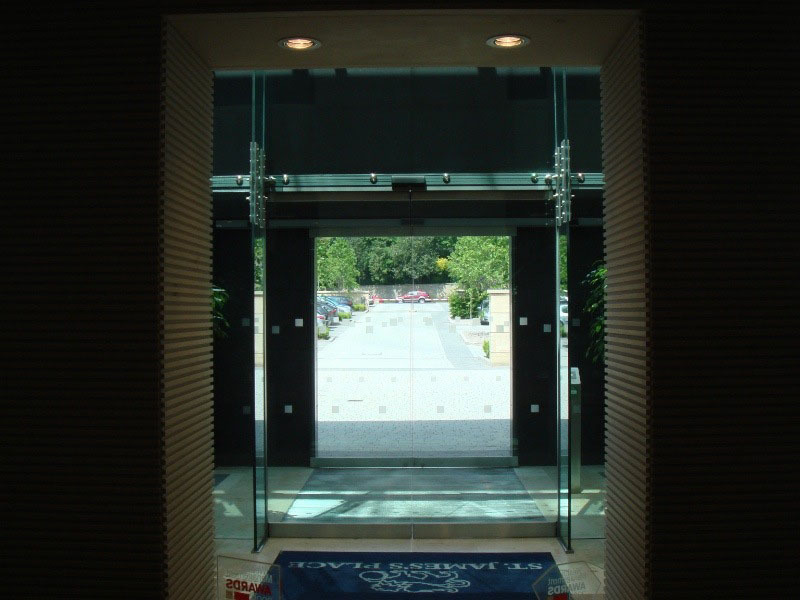 The visitor approach to the building is via a tree lined avenue to a contemporary design Portico symbolising the success and maturity of the Company. 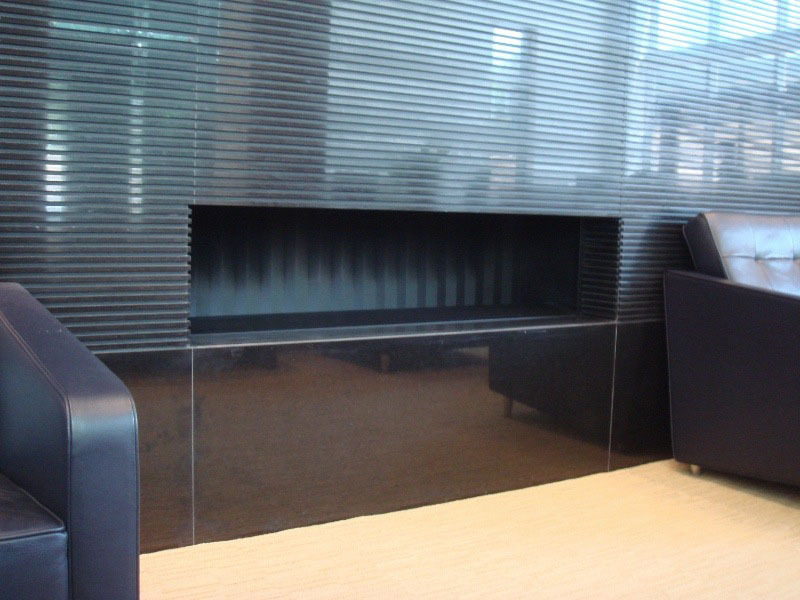 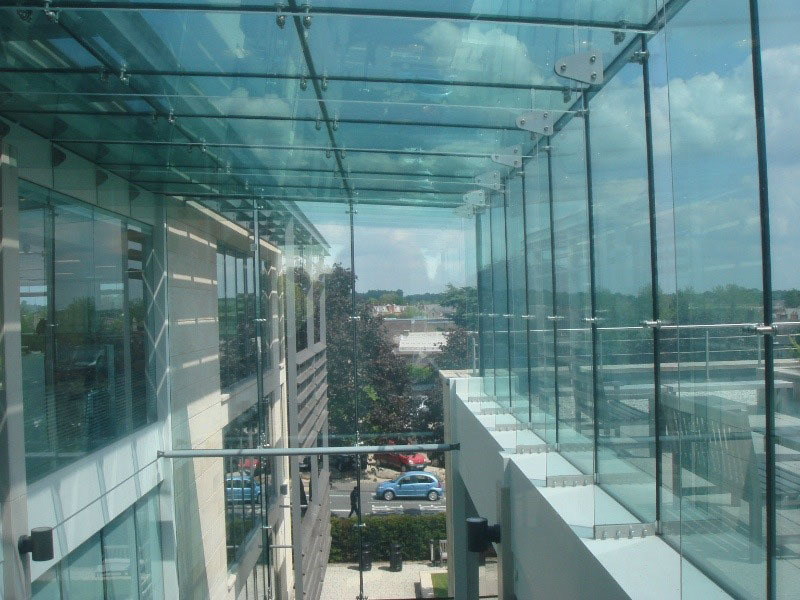 From reception are visitor lounges, meeting rooms which open up into the glass street, from here the entire Company can be addressed by Executives using the stair landing as a podium. 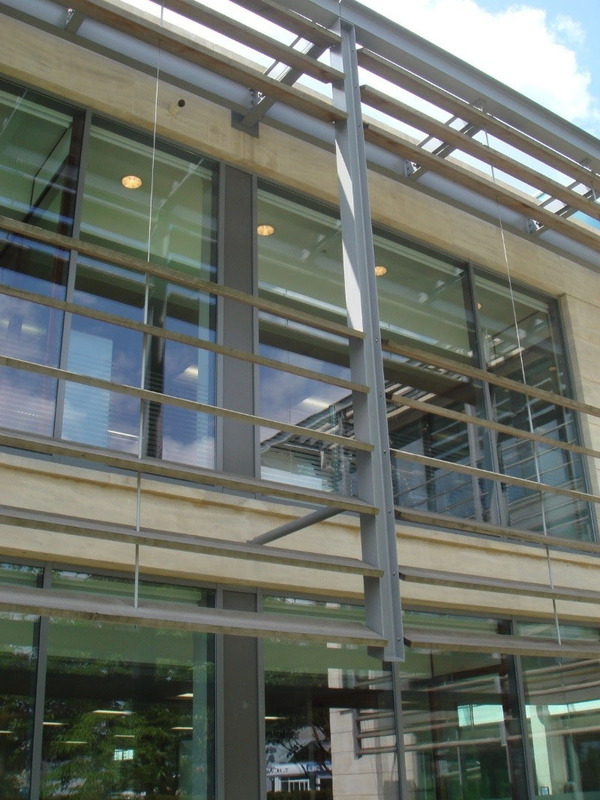 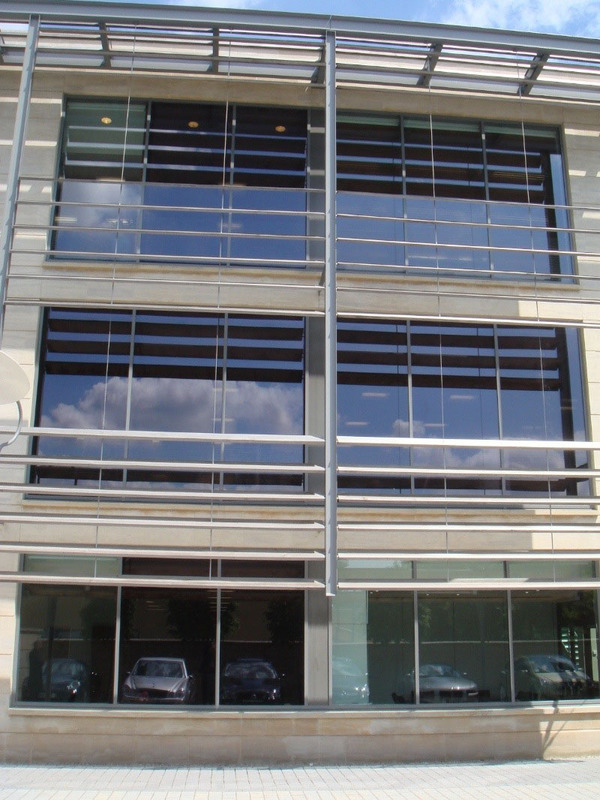 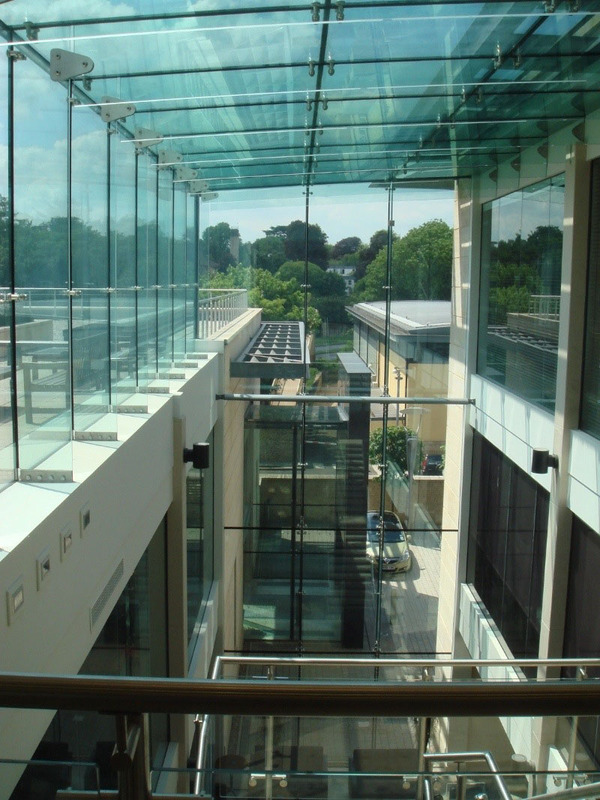 Two express lifts traverse between the two limbs of the office to the boardroom and meeting roof suites at roof level a glass bridge extends across the full roof garden with splendid views of Cirencester and surrounding Cotswold landscape. 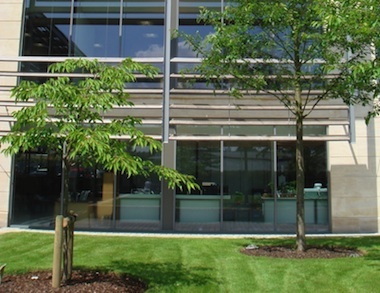 At ground floor is the social hub of the building including restaurant, break out and lounge facilities extending out into the garden which links to pedestrian routes into the City Centre. 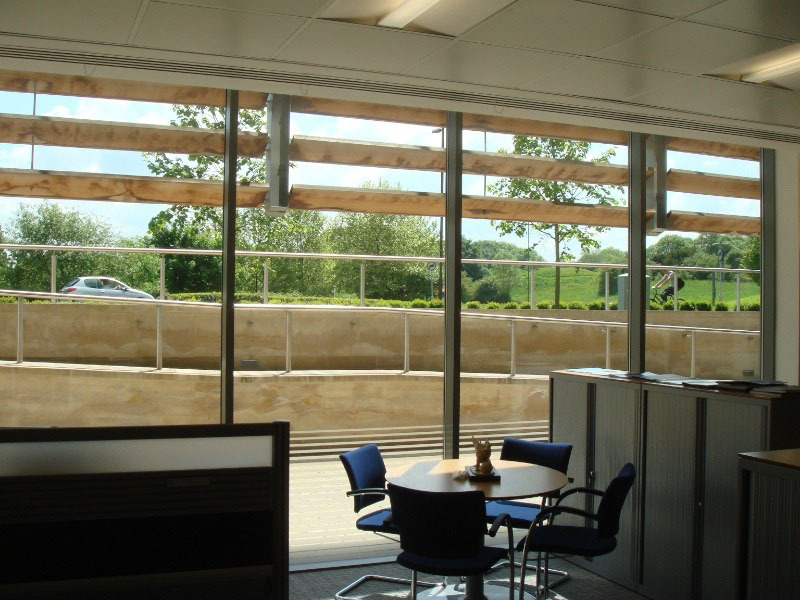 The scheme features numerous green solutions including orientation solar shading, green roof and grey water systems. 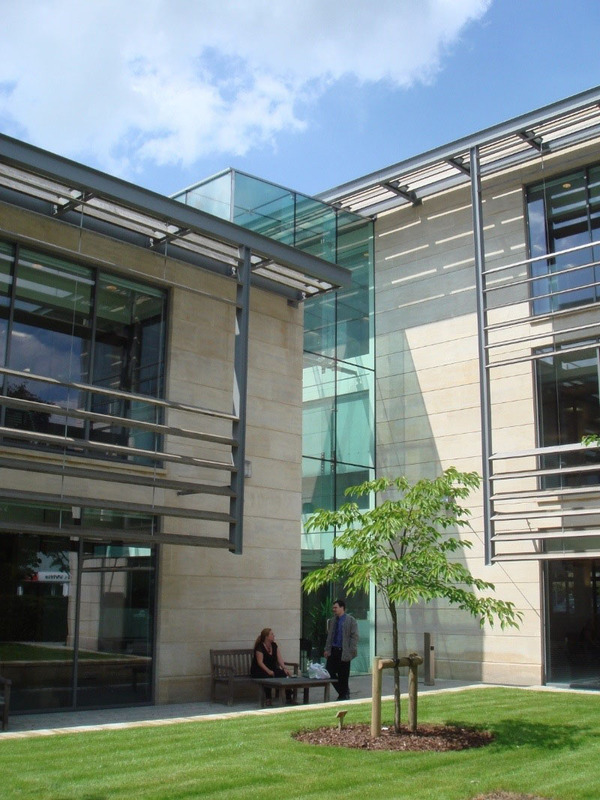 The building won BCO prize in 2008.